Senate Democrats have blocked a pro-life bill that would have made it illegal for doctors to refuse medical care to babies who survive abortion. The Born-Alive Abortion Survivors Protection Act threatened prison for medical personnel who allow the death of babies born alive after an attempted abortion. The Senate voted 53 to 44 in favor of the bill, but failed to reach the 60 vote threshold required to pass the measure. All of the senators currently running as Democratic presidential candidates voted against the bill, sparking outrage from the GOP and even some pointed words from the president himself. The bill’s chief sponsor, Sen. Ben Sasse (R-Neb. ), also expressed his outrage. “I want to ask each and every one of my colleagues whether or not we’re OK with infanticide,” he bellowed on the Senate floor, according to Fox News. Today the Senate will vote on a straightforward piece of legislation to protect newborn babies. Let's be clear: The human rights of newborn boys and girls are innate. They don’t come and go based on the circumstances of birth. A newborn baby is a newborn baby. Period. Tonight, Senate Democrats blocked a vote on the Born-Alive Abortion Survivors Protection Act. It’s unconscionable & inhumane that some in our country, especially members of Congress, are unwilling to take a stand and support the lives of newborns who survive an abortion attempt. 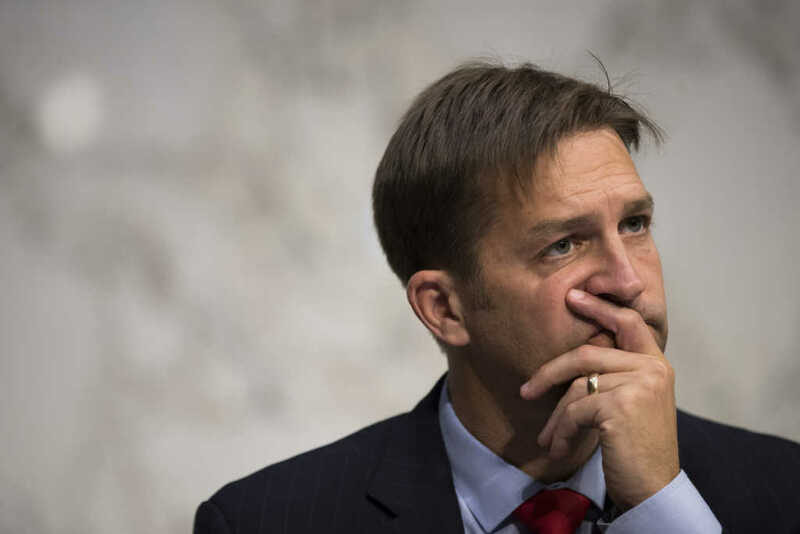 While Bush’s “Born-Alive Infants Protection Act” outlined the legal rights afforded to newborn babies who survive abortion, Sen. Sasse’s latest proposal focuses more on the responsibility of medical staff who are tasked with taking care of the infant amid these tragic circumstances. Today, 44 Democrats voted against the Born Alive Abortion Survivors Protection Act. Why did the Democrats oppose it? Many of the opposing Democrats argued that, due to the original bipartisan legislation that was passed back in 2002, there is simply no need for this additional bill. The bill was introduced after Virginia House Democrat Kathy Tran proposed a bill that would have, in some circumstances, allowed for the abortion of a live child even as the mother was in labor. This shocking assertion was then backed up by Democrat Gov. Ralph Northam during a widely shared radio interview. When asked to explain what Tran meant when she said the bill would allow women to abort their children even as their body is dilating and preparing to deliver, Northam offered an unsettling response as to what would happen next.